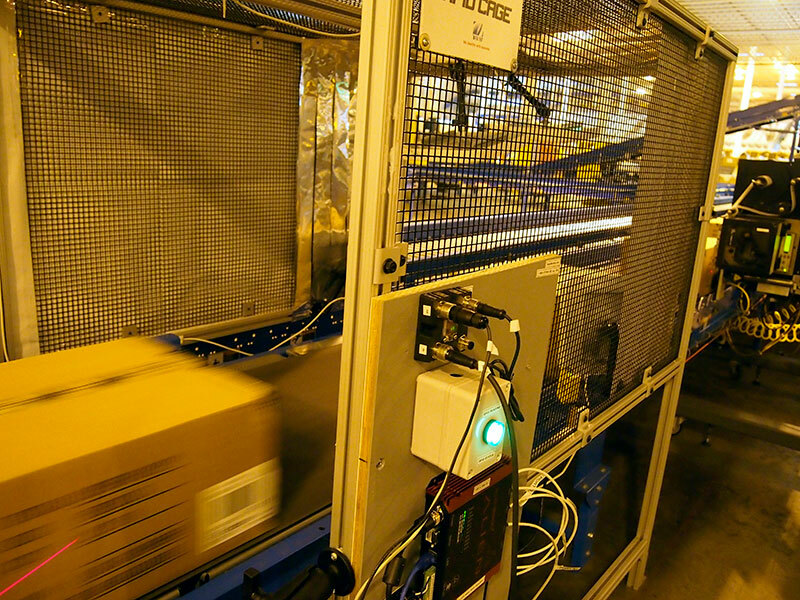 Apr 11, 2016— Several years ago, CYBRA began marketing a mobile ultrahigh-frequency(UHF) RFID reader portal surrounded by a cage of metal mesh and mounted on removable wheels so that it could be easily moved to a user’s existing conveyor systems. Not only does the cage protect the RFID reader hardware from being damaged though contact with boxes, individuals or equipment, but the mesh’s half-inch by half-inch spacing is sized to keep the RF energy inside the cage. This enables it to prevent stray reads, the company explains, while still allowing users to see inside the cage to confirm that all is working properly. The unit, known as the RFID Cage, can be pre-configured for each use case, CYBRA reports (in fact, its exact dimensions and shape vary according to the needs of a particular user’s conveyor system), and is designed to be fast, providing 99 percent read accuracywhen conveyor lines move at speeds of up to 600 feet per minute. The cage comes with an Alien Technology F800 or Impinj R420 reader, says Mike Shabet, CYBRA’s sales and marketing VP, though it is hardware-agnostic, so other reader products would work with it as well.